As a newbie parents, preparing for your baby’s first solid food needs lot of energy, courage and knowledge all at the same time plus budget of course. Health experts agree that it’s best to wait until your baby is around 6 months old before offering any food other than breastmilk/formula milk. Why wait until 6 months? Because your baby’s digestive system will have enough time to mature, if you started to give solid foods to your baby early they may cause unpleasant reaction like upset stomach, gas or constipation since his/her digestive system simply isn’t ready for solids. Your baby can sit with support. Your baby mounting his/her hands or toys. Your baby reaching for your sppon or fork at mealtime. Ready and willing to chew. 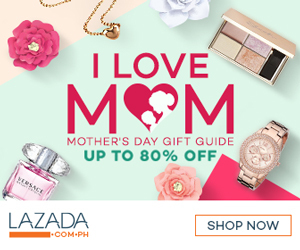 If you notice all of these to your baby and you have the approval from your pedia doctor, you can now begin giving your baby a solid food. You know what, Rhian is qualified for solid food when she was 5 and a half month old. Galing! So before Rhian reach her 6th month old last July 20, Ian and I prepared the things that we need for her 1st solid food experience. We were so excited! As in to the highest level ang pagka excite namin kaya super shopping galore kami for 1 week. 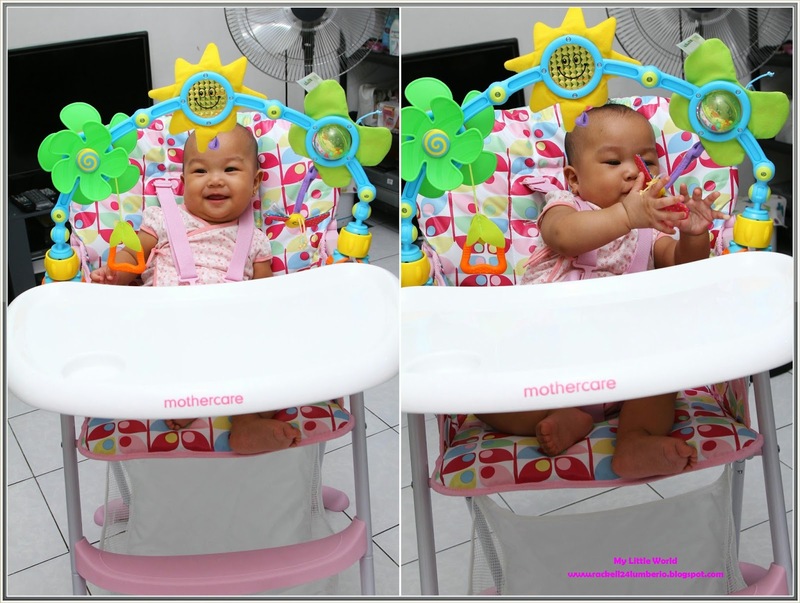 Always remember that feeding a baby food is easier with the right equipment, so we bought the following items for our little princess. For you to have less mess in your house (well, good luck! You know naman kung gano ka messy ang magpakain ng baby. 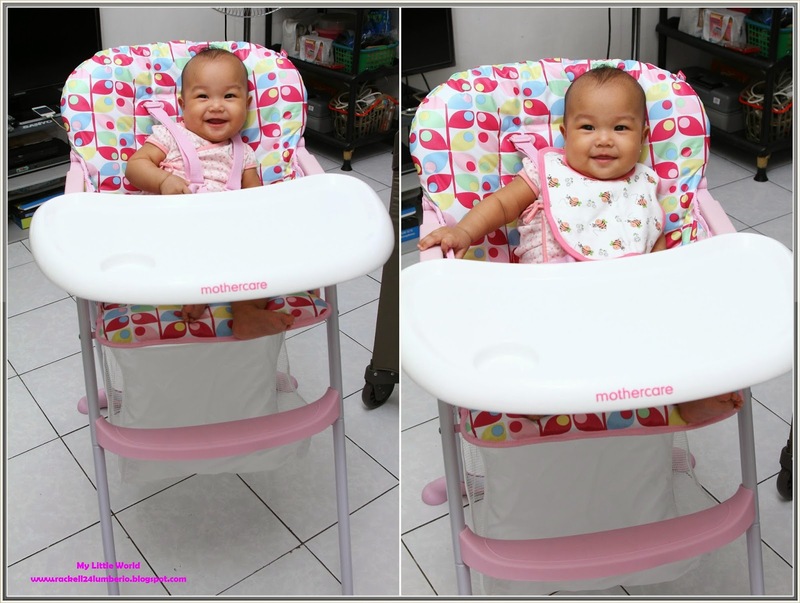 Hehe), we bought big, comfortable, washable/wipeable and sturdy high chair at Mothercare. 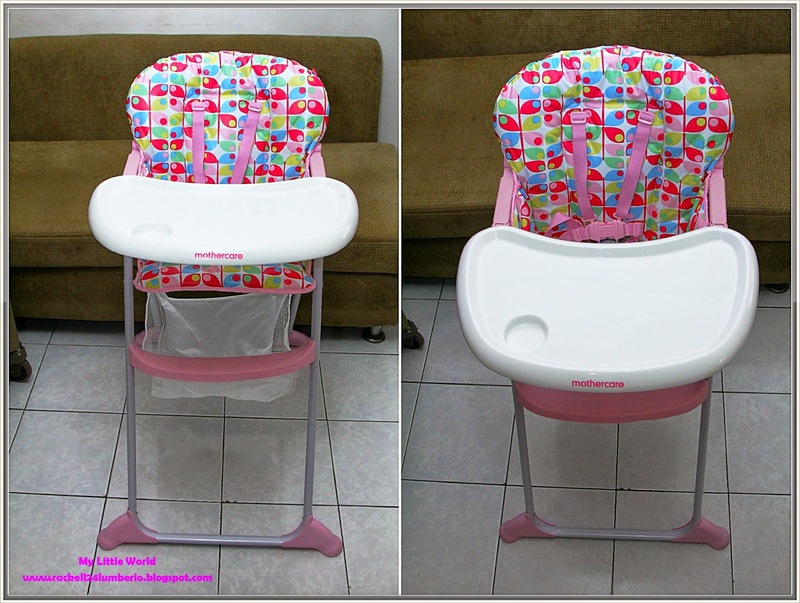 I know some of you will tell me na it’s not practical to buy an expensive high-chair since it will only use for a while pero for us SAFETY FIRST! So kahit mahal sya as long as safe ang anak namin, go kami! 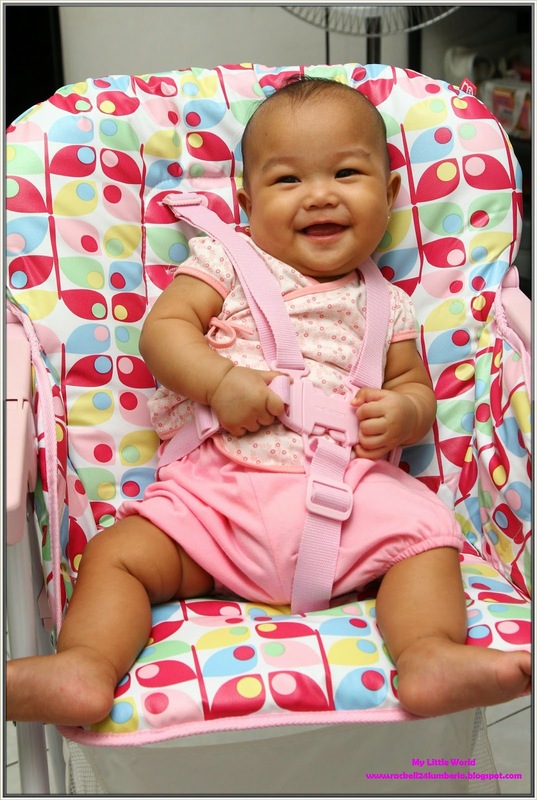 Don’t forget to strap your baby in, even if he/she doesn't seem wiggly – SAFETY HABIT and be careful that the seat is set-up safely and PLEASE secure your baby properly. 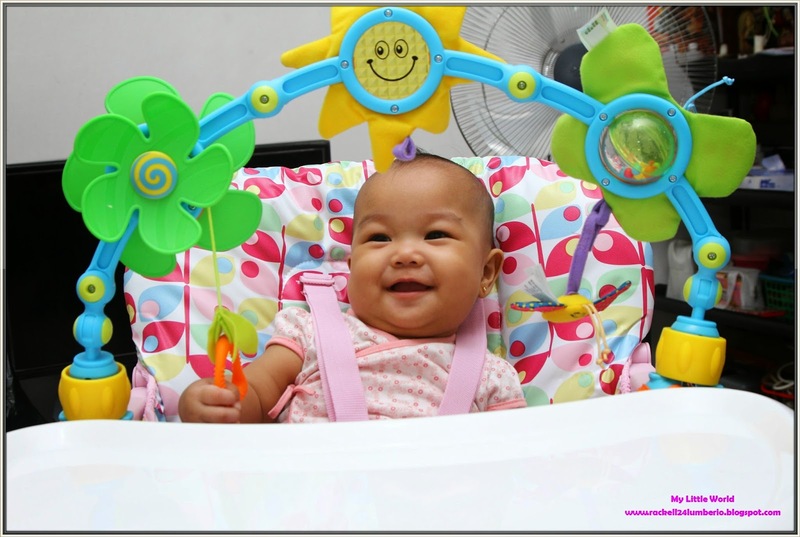 Tiny Love Nature Stroll is not included in the High Chair; we purchase it separately at Baby Company. (Php 1,600++) We bought this for our stroller that keep our baby entertained as we go in the parks, malls or just waiting in lines. This is a MUST as learning how to eat is a messy task. 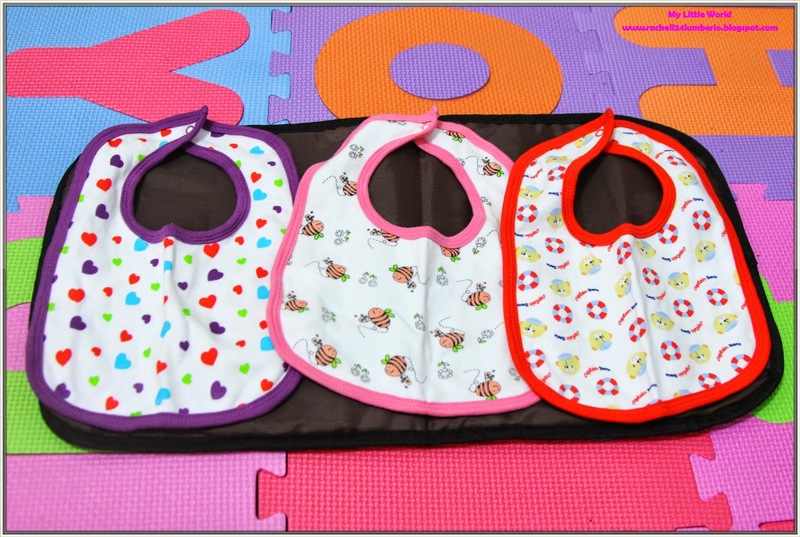 My husband chooses colorful bibs that will help our baby’s clothes from getting dirty or wet and this bib can also be used to wipe our baby’s face. (Take Note: Super dami na namin BIB but still he opted to buy new set!) Now, look who’s more excited? Mommy or Daddy?! Hehe. 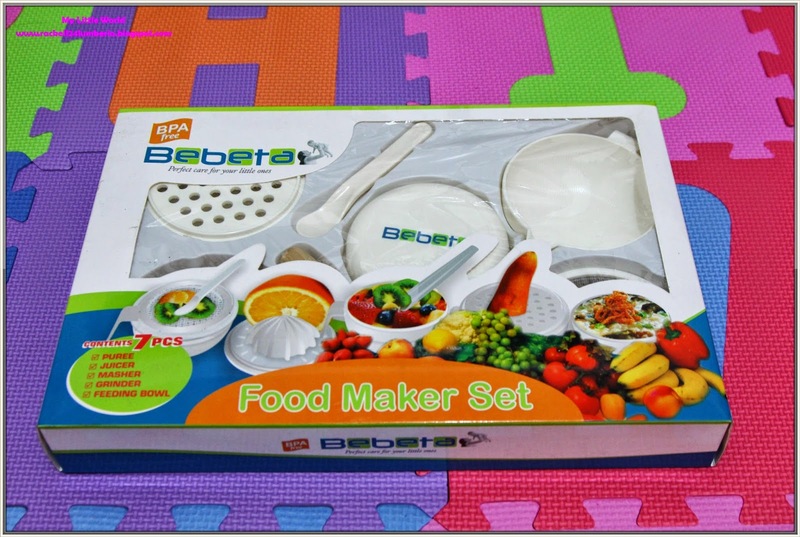 This food maker set is perfect for our little one. It consists of puree, juicer, masher, grinder and feeding bowl all in one box. This is one of the gifts that I received during my baby shower. Like what I’ve said, we invest for our baby’s health so we chose to buy BPA Free bowl for Rhian. Marami dyan magagandang bowl/plates with colorful designs but we don’t have any idea if that is safe or not. 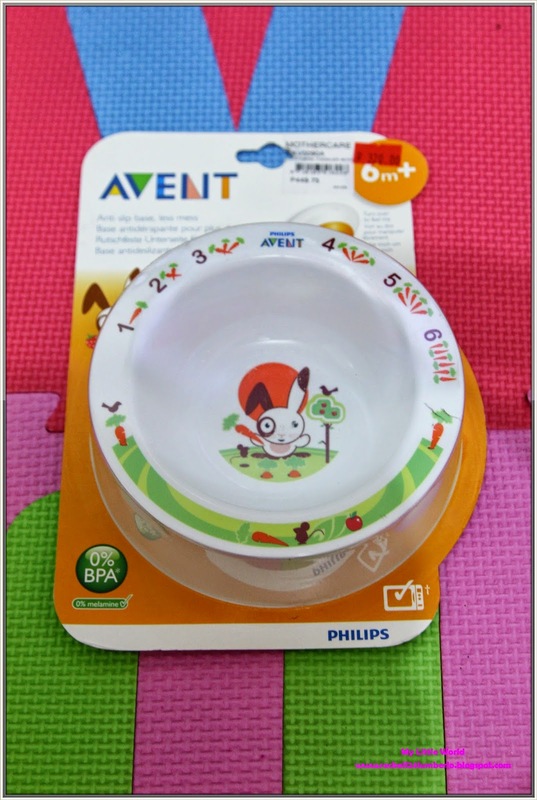 That’s why we decided to buy at AVENT Philips Toddler Bowl Small. I love this bowl because it is unbreakable (sometimes or most of the time babies tend to grab and drop everything) so this bowl is suitable for Rhian. For the spoon we bought AVENT Toddler Weaning Spoon since it has a small and soft tip. Regular tablespoon can be hard on your baby gums. Malambot pa masyado yung gums nila for metals so it is advisable to use baby spoon because they have a protective covering. For the cup, we have two options either use the normal/classic feeding bottle or the one with ease of sipping. Since we have lot of feeding bottles, nilabas nalang namin parehas. Hehe. 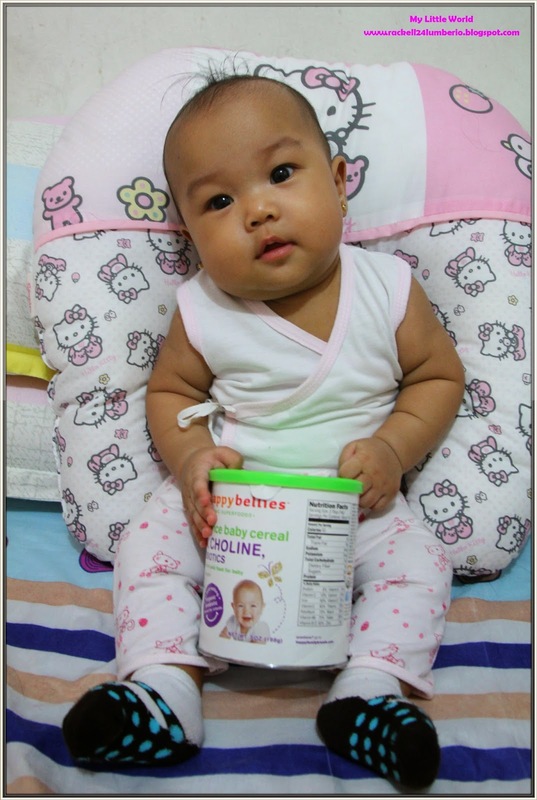 During our monthly check-up, her pedia recommend starting our first solid food with rice cereal since it’s easy for babies to digest and unlikely to cause an allergic reaction especially is your baby has a sensitive stomach. According to my research, baby cereals have the advantage of boosting your baby’s iron intake. 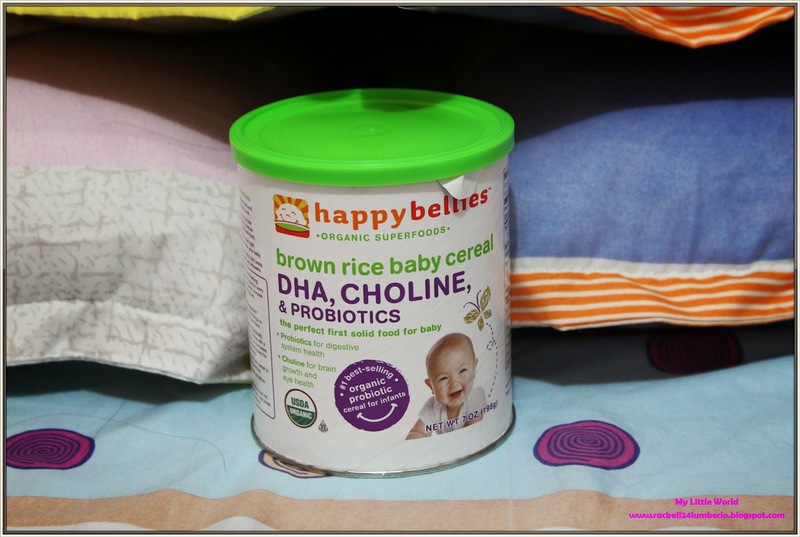 Hubby and I decided to buy Happy Bellies Brown Rice Baby Cereals, this was recommended by our friend Yen (she used this as first solid food for her son). According to Healthy Options, this is their #1 best-selling organic probiotic cereals for infant. Last but not the least, CAMERA! This is the most important thing for us (1st time parents) because the faces of our daughter are PRICELESS! Gusto namin ma capture ang different facial expressions nya. So for now, that’s it pancit! Next ko na isulat yung 1st solid food experience ni Rhian. (Yun eh pag nakaluwag luwag na ulit ako.. Hehe.) So stay tune guys!